As promised last month, I am back with another raw mango recipe which we made while at mom’s house. The recipe is very simple and requires minimal cooking. The only tough step is the cleaning and slicing of mangoes. 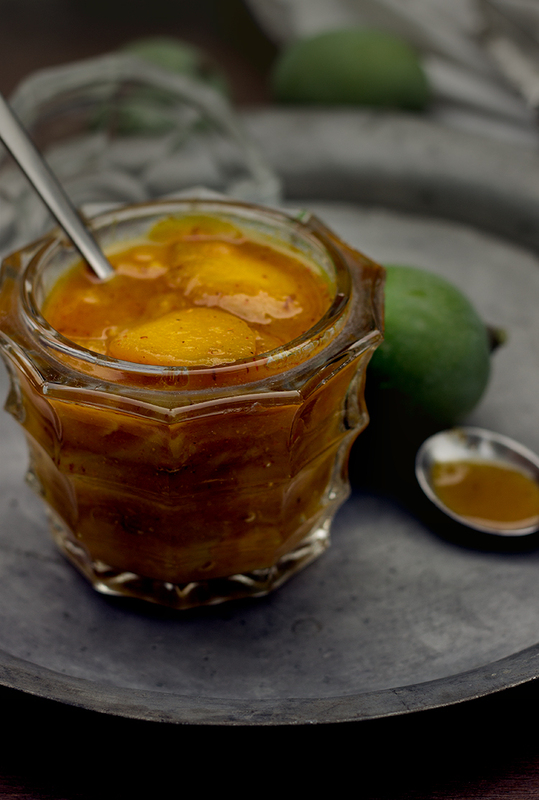 The recipe of this aamras is similar and interchangeable with raw mango chutney I shared last month. The taste is more simple than chutney but if you are a lover of more spicy and rich version, you can easily swap it. This was my first attempt with helping mom out with making chutney or aamras and I loved the experience, bonus was that I get to learn from a great cook herself. Her experiences are unparalleled and the way she cooks always make me learn something new. This one is for you mom. I love you! !